A young woman's body is found in a remote barn on the Fens. Before she was killed, one of her fingers had been cut off. Who is inflicting this violence and why? The young woman in the barn had been kept captive for some time. And the case shows strong similarities to an unsolved murder in Derbyshire. When another woman is found alive with similar injuries, the case grows even more complicated. 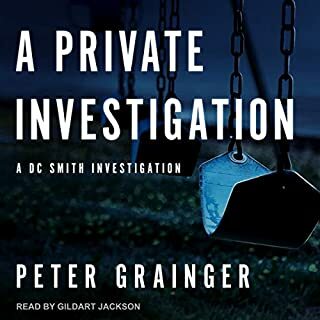 At the same time, the Fenland police have received intelligence that the ruthless criminal Freddy Carver plans to make Greenborough the hub for his new enterprise. 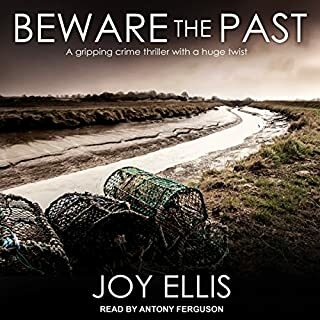 DI Nikki Galena is desperate to track down Freddie Carver and make sure that he does not put down roots in the Fens, but finding him is not easy. And what's his connection to the kidnapped girls? 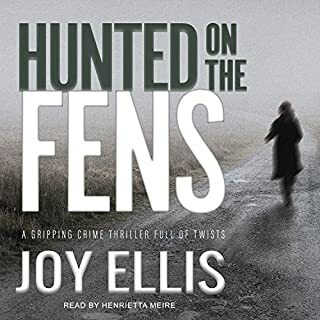 Author Joy Ellis never disappoints! 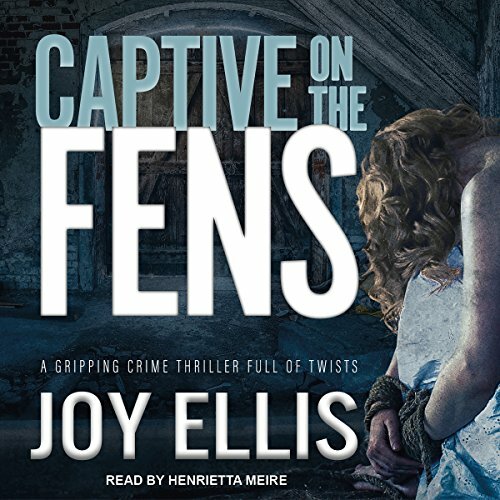 Captive on the Fens, Book 5 in the Detective Inspector Nikki Galena series, was released in audio this week. I'm delighted to see that there have been six ratings prior to mine. 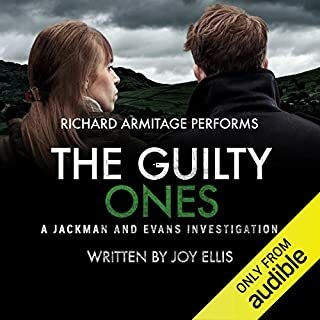 There is now only one novel in the series yet to be released in audio.. 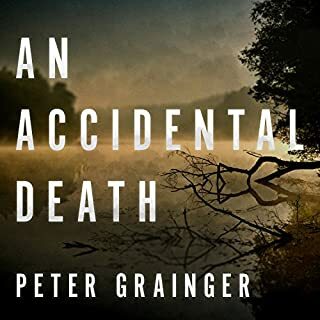 This novel is a wonderful and unusual police procedural mystery. 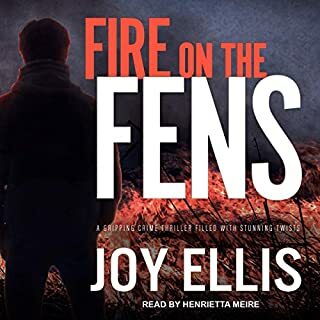 Henrietta Meire does a great job of narrating all of the On the Fens novels. I very highly recommend this series. 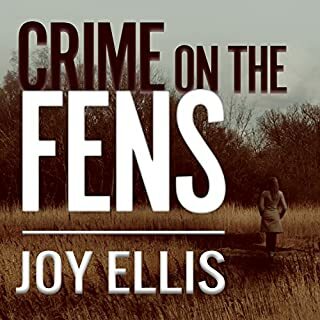 The rest of this review is a discussion of the Fens. Having as a US citizen lived in England The Fens is one of the areas I found most interesting. 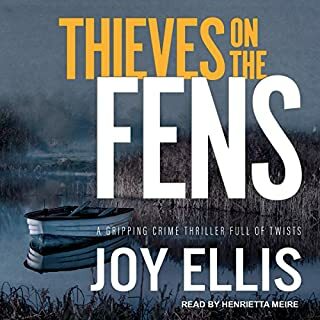 The Fens , also called Fenlands, is a 1500 square mile area of the English North Sea coast approximately 50 miles northeast of London (it is about 20 miles north northeast of Cambridge). 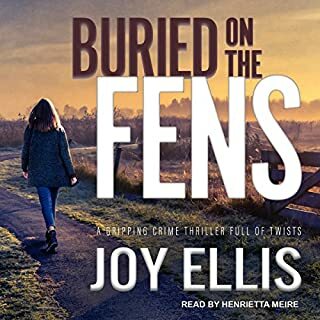 There are also references in Captive on the Fens to Fenland which is a 200 square mile political unit of the Fens located entirely in Cambridge County (Cambridgeshire). The Fens is part of 4 counties. Much of the Fens is below sea level and was flooded with every North Sea high tide prior to the first successful attempts in the early 19th century to use embankments to tame the high tides. River embankments are also used to prevent flooding. The Fens is approximately the same latitude as Amsterdam. The word fen comes from the designation of a specific type of marshland. The history of the area goes back to pre-Roman times. 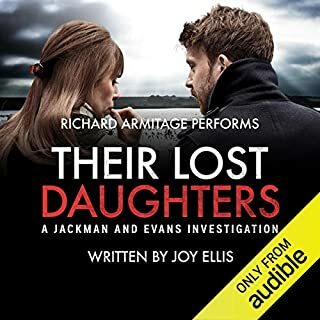 DS Jospeh Easter's daughter, Tamsin, is about to marry Niles, a young detective constable with the Greenborough police force. Freddie Carver, a vicious criminal boss formerly based in London and more recently hanging out in Spain, is apparently in Greenborough and planning to stay. Joseph and DI Nikki Galena are determined to catch him before he becomes a fixture in their district. Two dead young women have turned up, both apparently held prisoner and tortured for some time before being killed and dumped. And because their lives aren't exciting enough yet, a young man storms into the station demanding that finally, once and for all, they find his missing twin sister, who is believed to have simply run off, which is the right of any adult to do. He's certain she didn't, and is in danger. 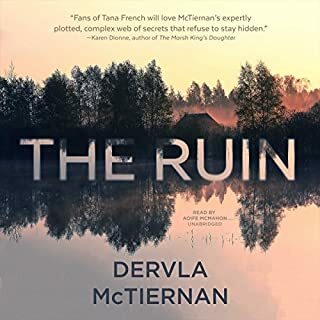 There's a lot going on here, and some outstanding plot threads from previous books get more attention here. 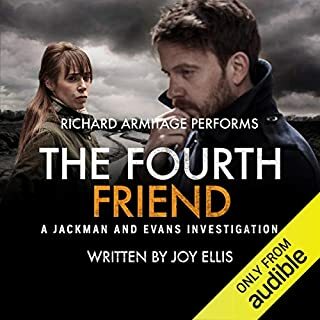 There are dangerous signs that hardnosed Nikki might be mellowing a tiny bit, duty takes Cat into Derbyshire, where she meets a detective sergeant she might have a future with. Joseph's ex-wife arrives in town for the upcoming wedding, and might be a source of future trouble. Nikki's biological mother, on the other hand, may be turning into a real asset. 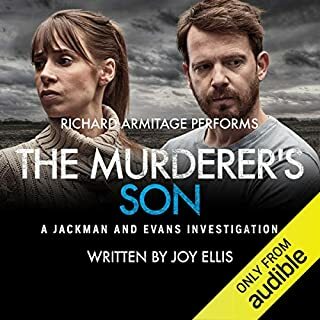 The plot is excellent as always, but, also as always, the real reward here is the ongoing development of the characters as they continue to live their lives while doing their challenging and dangerous jobs. Best one so far. Finally they don’t all act obtuse. Enjoyed this one. Can’t wait for the next. this book had many good characters and twist and turns in it, I hope Nikki and Joe get together . I simply can't get enough of the Nikki Galena series. skillfully written and beautifully narrated. can't wait to get to the next book in the series. If you could sum up Captive on the Fens in three words, what would they be? Yes - keep guessing who the real kidnapper is - nice twist of how another kidnap victim is found. I need to listen at.75 speed to understand the accent which I enjoy but find hard to understand at the faster speed. The sixth in the series does not disappoint. An old foe, Freddy Carver is reported to have returned to Greenborough and there's a dead girl found on the Fens with a severed finger. 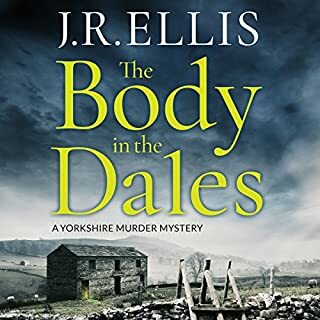 The old barn seems to suggest she was kept captive for some time prior to her killing, and another murder in Derbyshire is eerily similar. Now a brother contacts DI Nikki Galena about his missing sister asking for help . . . are the cases connected? 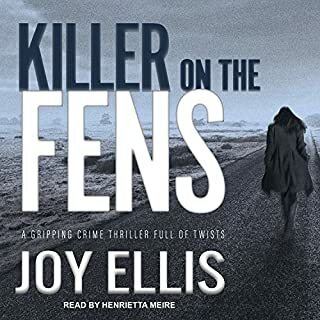 All of the familiar characters, Cat, Joseph, Niles, Nikki, and a few new ones join the race to find a killer in a desolate area of England known as the Fens . . . and complicated by the hunt is the fact that one of their own has also been missing for some time, as well . 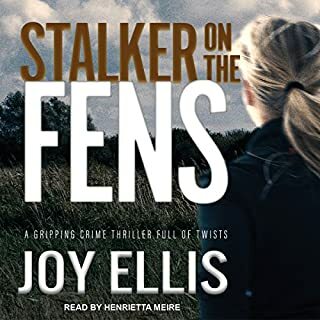 . . the progression of the series is phenomenal, with Nikki having discovered her mother, Eve and beginning to build a relationship with her, and Joseph now enjoying a close bond with his daughter, Tamsin . 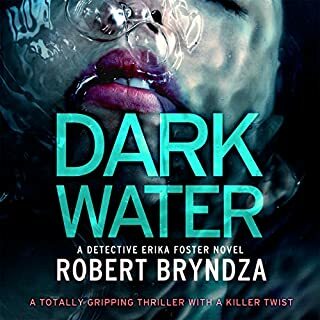 . . as the team close in on the killers, it is edge-of-the seat listening, and a satisfying conclusion . . . I anxiously await the next in the series . . . This was definitely the best book of the series, although I loved them all. Such wonderful complex characters who I've grown to love. I cannot wait for the next book in this series! I love the books, though my husband and I laugh when the characters “puff out their cheeks”, must be a British thing. Can’t wait for the new book and we adore the narrator. She nails it! 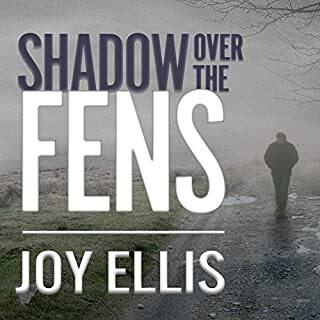 Joy Ellis has written one of the most powerful installments yet. I highly recommend this this book and series.